There’s a huge difference between liking something and being passionate about it, and that’s the difference between being a casual customer and a brand evangelist. You can’t buy that kind of loyalty and enthusiasm, and you can’t afford to miss the opportunity to turn your customers into your biggest fans. Here’s how to make it happen. Figure out what customers love about your brand. How are you earning a following? Are people going crazy over a certain product? Do you have a reputation for great customer service? Talk to your customers and see what they’re saying on social media to get a sense of what gets people excited about your brand. You can also glean these kinds of insights from Square Feedback, where customers have the opportunity to leave you comments straight from their receipt. Once you’ve determined your strengths, you can work on building and maintaining them. Whether it’s through comment cards, Yelp, or your point of sale’s customer feedback feature, you need to pay attention to what people are saying about your brand. And you need to take the complaints just as seriously as the kudos, especially when they’re in a public forum like social media. If a customer posts a gripe about a product or service, make sure to respond, and also give them the option of direct messaging so that you can work out the details specific to their situation. When customers see that you take the time to address their issues and satisfy them, it proves that you’re a company worth doing business with. Who are your superfans? These are the people who are not just loyal customers, but who also sing your praises to friends, family, and co-workers, and who post positive reviews on Yelp, Facebook, Twitter, Instagram, and more. 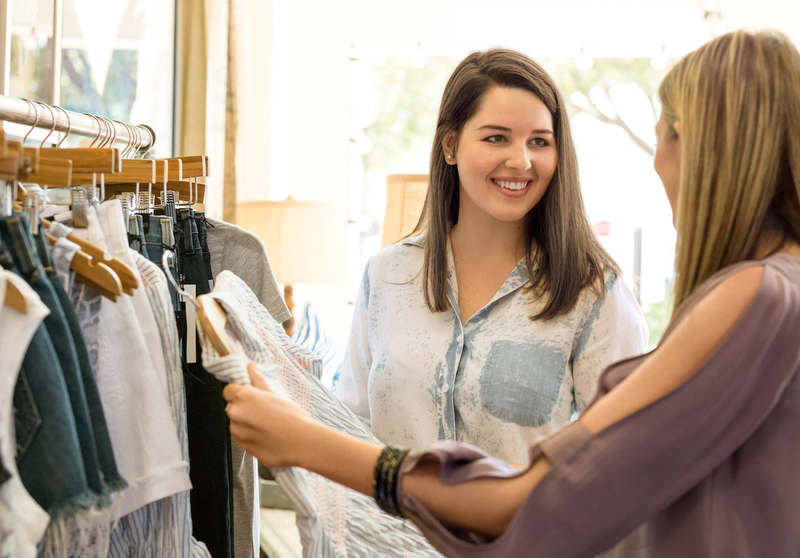 Recognize your best customers with special discounts and deals, and talk to them about ways you can work together, perhaps through a brand ambassador program or similar role. Be good to your employees. You can’t make customers happy when your own staff is miserable (and it’s pretty obvious when your employees are miserable). Figure out how to make your company a desirable workplace by offering competitive compensation, plus other fun perks that are applicable to your business like free snacks, group outings, or spot bonuses. Happy employees go a long way toward converting customers into evangelists. Mobilize your fans on social media. Of course it’s great to have your customers promoting your brand all over social media, but there’s also a benefit to concentrating on one or two outlets, whether that’s Instagram, Facebook, Twitter, Snapchat, or something else. Your business and your core target audience determine which outlets make the most sense for you, and then you can focus your efforts there. Through designated hashtags or shares, you can get a sense of your reach and easily connect with an extended audience. Keep surprising and delighting your fans. Consistently successful companies never stop trying to please their customers, so no matter how many brand loyalists you have, you can never just phone it in. Continue to provide the specific products and services that you know your customers love, but never stop growing and evolving. It’s possible to stay true to your mission without stagnating, and brand evangelists will notice when you do it right.